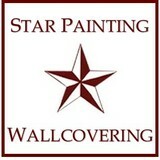 Star Painting & Wallcovering of Skippack, Inc.
Star Painting was formed in 1984 by two friends out of Ambler Pennsylvania to provide residential and commercial painting as well as wallcovering installation and carpentry work. With steady growth of customers and employees, the company soon expanded its customer base to include all of Montgomery, Chester and Bucks Counties. In 2002, the company found the need to incorporate and in doing so changed its name to Star Painting and Wallcovering of Skippack, Inc. Entering our 30th year in business, we continue to hold a major presence in the tri-county area. We are proud to admit that we still have many of our original customers. In fact, 70% of our customers are referrals from other happy customers! * OFFER DETAILS: PAINTER FOR A DAY. $240.00 (8 HOURS.) Deal is for labor only. Materials not included. Customer must provide paint. 9 ft. Ceiling. One coupon per address. For Over 20 Years, William Buckham Painting continues to deliver the highest quality prep, painting and professionalism that years of attention to detail brings. We provide the BEST in Expert Prep, Power Washing, Residential and Commercial Interiors and Exteriors ...and most of all, Professionalism and Cleanliness. If you’re looking for high quality and personal service, let us put our experience to work for you! At William Buckham Painting we’ll give you the attention and personal service your home deserves. Sinn Painting is a professional residential and commercial painting contractor serving the communities in Montgomery and Bucks counties. 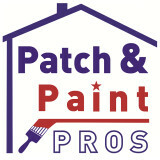 We offer complete interior and exterior painting services backed by a three year written guarantee. We have earned an excellent reputation for professional, attentive, and personalized service in all phases of the job. From meticulous preparation to finished product to thorough clean-up, we offer high quality interior and exterior paint services for jobs of all sizes. At your request, we offer a complimentary color consultation to guide you during your color selection. We are fully insured and can provide an extensive list of local references. All of our painters are full-time employees, not subcontractors, which means that they are fully insured under Sinn Painting with workers compensation as well as other benefits including health, dental, vision, life, disability and retirement benefits. They are are members of the communities in which we work. Call us today for a free estimate and discover why Sinn Painting has been consistently voted #1 Painting Contractor!